As all we know very well that heart is the main power switch of our body,so proper care of heart is very important.According to medical science human heart weight is near 300 gram and beat 72 times in a minute. 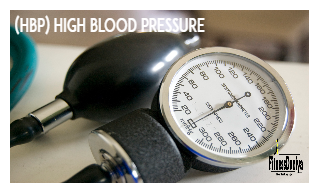 Normal person blood pressure is 120/80 but today because of unhealthy life style like unhealthy food,lack of body efforts,late night life regularly increase the number of HBP patients.If your blood pressure is not normal thats mean more chances of heart diseases like high blood pressure,low blood pressure,heart attack etc. Store water in a green colour glass bottle and charge in sun light.Drink this water in the morning on empty stomach. Start some yoga poses like kapalbhati,anulom vilom,laughing exercises,makarasana,gomukhasana. Use tond milk and mix one table spoon honey in warm milk,drink this daily in the morning. Eat more green vegetables like karela,tinda,spinach,broccoli,sita fal etc. Drink carrot,tomato,ghia,pine apple,orange papita and lemon juice. Use coriander,mint leaves,green chilly,onion and garlic in food. Stop eating food like rajma,fast food,fried food,oily food and other heavy food hard to digest especially at night.